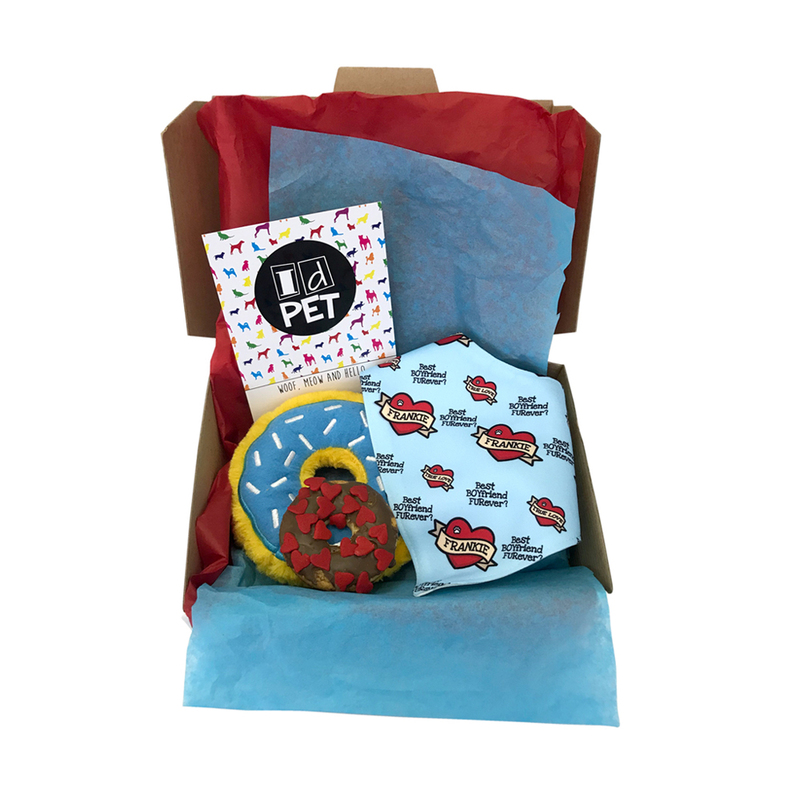 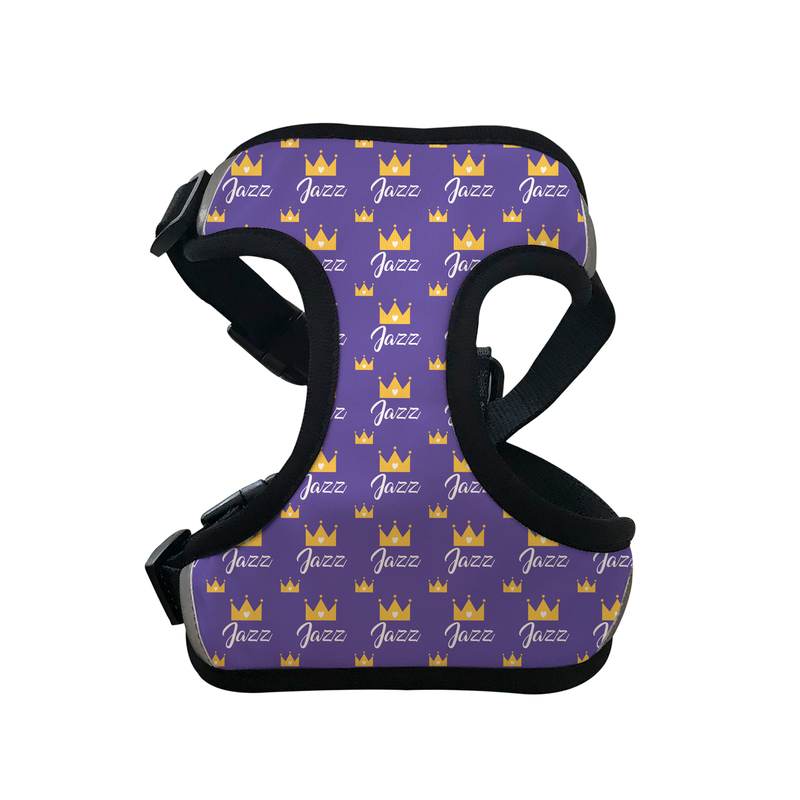 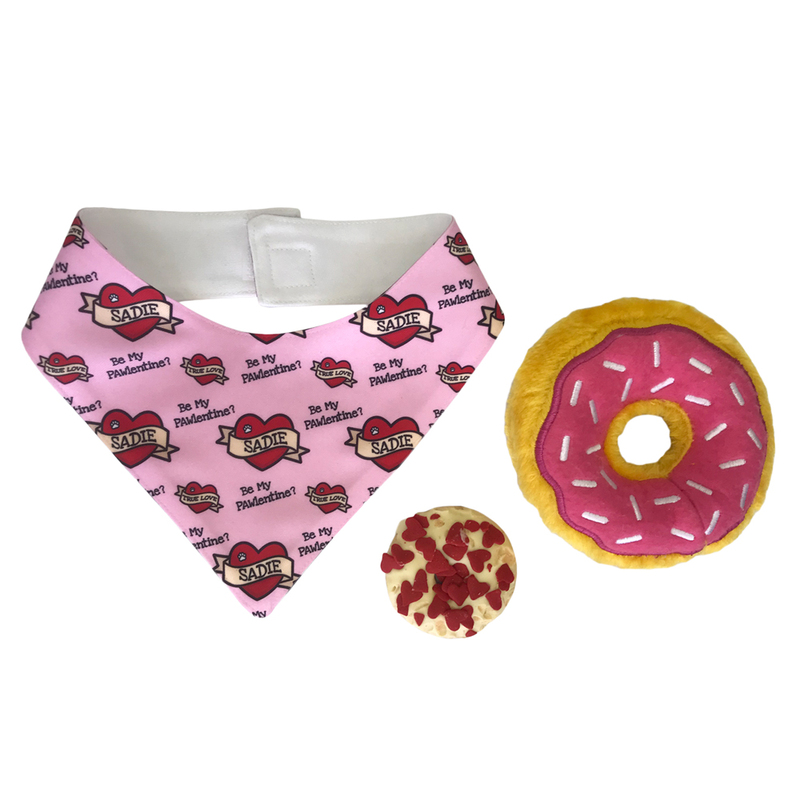 This Gift pack has everything in is to spoil your Furbaby BFF this Valentines Day! 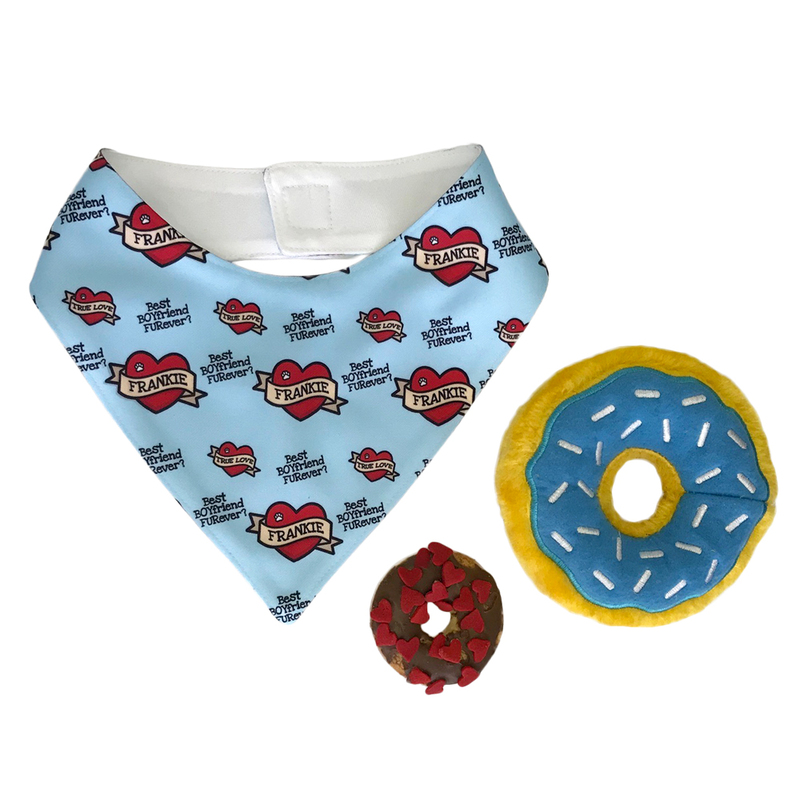 A handmade donut love pooch treat in Chocolate or vanilla carob. 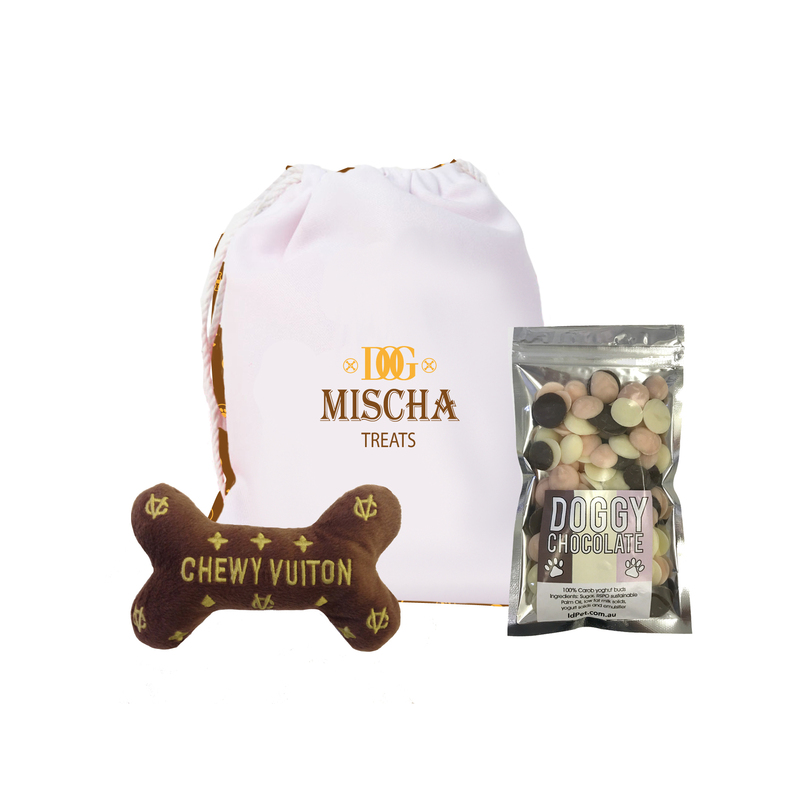 All Boxed and ready to GIFT.